Courtesy of Duke Warner Realty. Perfect family home both inside and out on a quiet a cul-de-sac. This large flat lot .40 of an acre backs to the golf course, yet has a nice green space creating a privacy buffer for your large deck and hot tub. Covered front porch leads into the living room with vaulted ceilings and well-appointed windows. Livingroom is filled with natural light, solid Alder doors, Alder wood wrapped windows and moldings. Family style kitchen with island breakfast bar and a dining area. French doors lead to the deck with hot tub and a very private back yard. Family room just off the kitchen boast’s a beautiful stone fireplace. Come through the garage where the downstairs bathroom has a full shower just across from the laundry room, which is handy after a day of mountain biking or skiing. The upstairs has four bedrooms. This home has been lightly used over the years and would make a perfect family getaway full-time residence or vacation rental. Please, send me more information on this property: MLS# 201900917 – $579,000 – 366 Goshawk Court, Redmond, OR 97756. 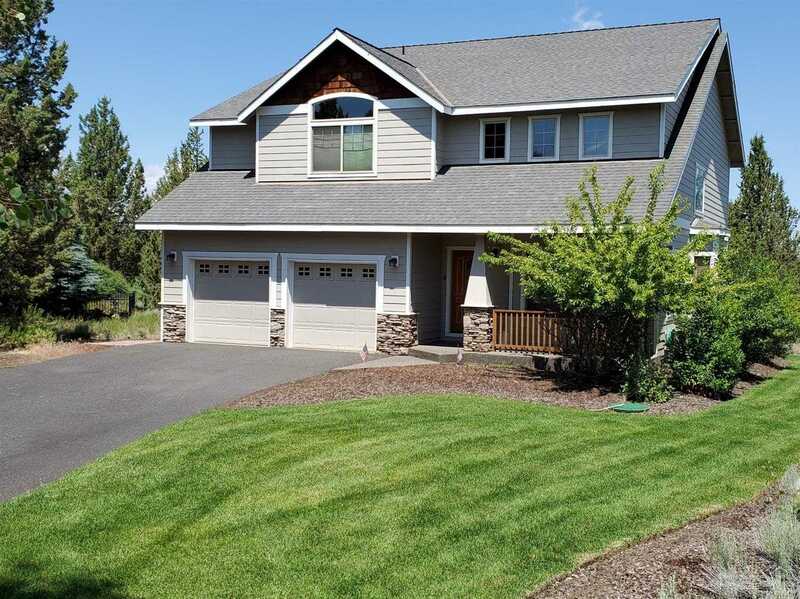 I would like to schedule a private showing for this property: MLS# 201900917 – $579,000 – 366 Goshawk Court, Redmond, OR 97756.